3:30-4:30 7 – What does Jesus Christ have to do with healing? 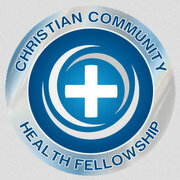 “God, Medicine & Miracles” by Daniel Fountain, MD, available by order locally at Alpha & Omega Bookstore and online at ChristianBook.com. Registrants are encouraged to purchase Dr. Fountain’s book early and read it prior to the Workshop. Provided to workshop participants as part of their registration fee.